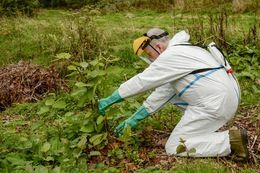 Last year the Greens Committee decided that patches of Japanese Knotweed, that had been inadvertently introduced to the course when rebuilding some tees, were likely to spread rapidly and become a major problem. The method of control chosen was the injection of a recommended herbicide using the Micron InjectorDos. The timely application in September has given excellent results and control has been 100%. The Injectordos Pro we purchased last year has made a real difference to us in the treatment of Japanese Knotweed. 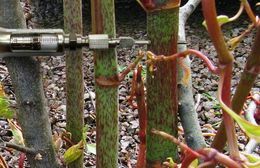 We can now treat the Knotweed in windy conditions without any worries of affecting nearby plants and the injection method is much more efficient saving us time and money. The injector itself is well put together and comes in a handy carry case which keeps it safe from damage. I am the secretary of our local rifle club, and a few years ago we had a major infestation of knotweed at our range introduced with some topsoil from a local building site when we were rebuilding the stop butts. We treated it with the Injectordos with neat glyphosate, and achieved about an 80-90% kill in the first year. I think the survivors simply hadn't been injected, but we hit them in the second year and the range is now virtually clear. 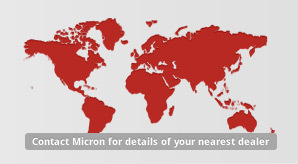 Using the Micron InjectorDos was simple, effective and the results quickly seen. 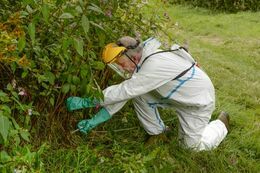 The particular advantage of this method was that eradication of the weed could be undertaken in sensitive areas close to a water course without the dangers that conventional spraying would pose. 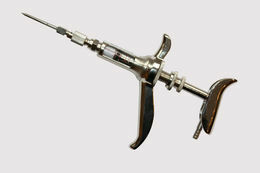 The InjectorDos Pro is suitable for injecting herbicide (usually one containing glyphosate e.g. Roundup Pro Biactive), into the stem of weeds with hollow stems such as Japanese Knotweed, Giant Hogweed and Horsetail, where injection should take place between the second and third nodes using a one shot dose of 2ml of undiluted herbicide. The InjectorDos Pro offers a safe and effective means of treating weeds in places adjoined by sensitive areas (e.g. close to watercourses) or where adjacent foliage needs to be preserved and a spraying applicator is unsuitable. Aimed at the professional user, the InjectorDos Pro features stainless steel framework to provide extra robustness and durability. An ergonomically-shaped handle can help reduce muscle fatigue despite continuous use. The InjectorDos Pro comes with a one litre backpack to replenish the applicator via a length of hose. Liquid supply can be shut off using an in-line tap which allows for disconnection/isolation of the backpack from the applicator. 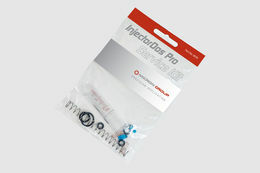 For extended product durability, we also offer the InjectorDos Pro Service Kit which contains all the seals, springs and valves used inside the applicator. The Service Kit allows the user to replace the worn parts without the requirement to purchase a new unit.